What if I had to say to you “Retreat from the real world, just forget about your current reality and relax”. Most probably you would remind me of all there is to do – or you would tell me all the hundreds of reasons why this statement does not make sense it all. Sometimes, we just must remind ourselves of all that we have achieved, experienced and lived. All the times you have acted with wisdom, been responsible and cautious and worked very hard. Can you find contentment in that? Can you, energetically ease into this day? Knowing that you have earned to also enjoy the finer things in life, that you can shift your focus from effort, hard work, struggle into easy, flow and joy? How do you this, how is all this possible? Firstly, you must believe it. Believe with all your heart that you are deserving, that you are completely OK with where you are, what you have now and most importantly WHO you are. Feel the acceptance and self-love deep within your heart and give yourself permission to carry this peace and wellbeing with you for this day. Retreat into your own thoughts, with thoughts of love, knowingness, worthiness and faith – faith that, as you have been OK through all this time, you will continue to be OK going forward. Work with the energy of peace, flow and most importantly JOY. Smile at yourself, pursue things you love doing and things that make you feel loved and beautiful. 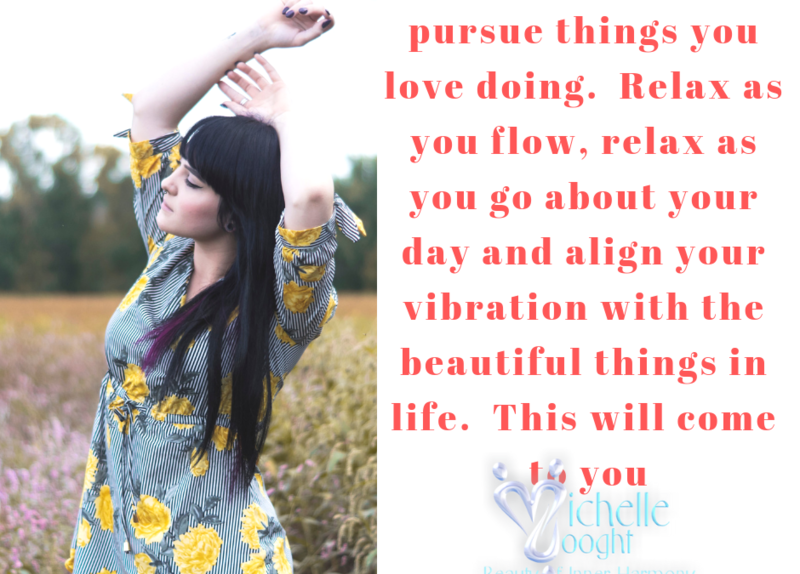 Relax as you flow, relax as you go about your day and align your vibration with the beautiful things in life. This will come to you. Yes, it is the time for your dreams to be fulfilled and so it is.